The NY Yankees comeback ended Saturday night with a 4-0 loss to the Houston Astros in Game 7 of the American League Championship Series. The Astros will now meet the Los Angeles Dodgers on Tuesday night in the first game of the World Series! The Dallas Cowboys Ezekiel Elliott is not letting his off-field issues affect his performance. He had a career high 219 yards including 3 touchdowns in a big 40-10 win over the SF 49ers. Unfortunately for the Cowboys and fantasy football owners, Elliott’s suspension might be reinstated after his hearing on October 30th. Life without Green Bay Packers quarterback Aaron Rodgers won’t be easy. Replacement QB Brett Hundley still hasn’t hit his stride making the team’s prospects pretty dim for the remainder of the season. To be fair, Hundly did not get much of an opportunity to showcase his throwing, as he mostly ran with the ball and threw for short yardage in their 26-17 loss to the New Orleans Saints. The Packers are now entering their bye week and will try and reassess. For more highlights of week 7 in the NFL, click here! It’s been confirmed, the multi-talented Grammy award winning Justin Timberlake will headline the Super Bowl halftime show on February 4th! This will be Timberlake’s 3rd appearance during the halftime show, a record for an individual performer. Timberlake will also be remembered for his infamous appearance with Janet Jackson during Super Bowl XXXVIII (now called “Nipplegate“) where he pulled a piece of her clothing causing a memorable wardrobe malfunction. 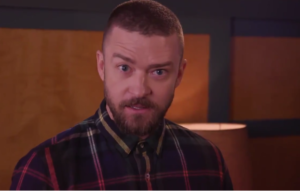 Timberlake and best buddy Jimmy Fallon announced Timberlake doing the halftime show with this cute video.